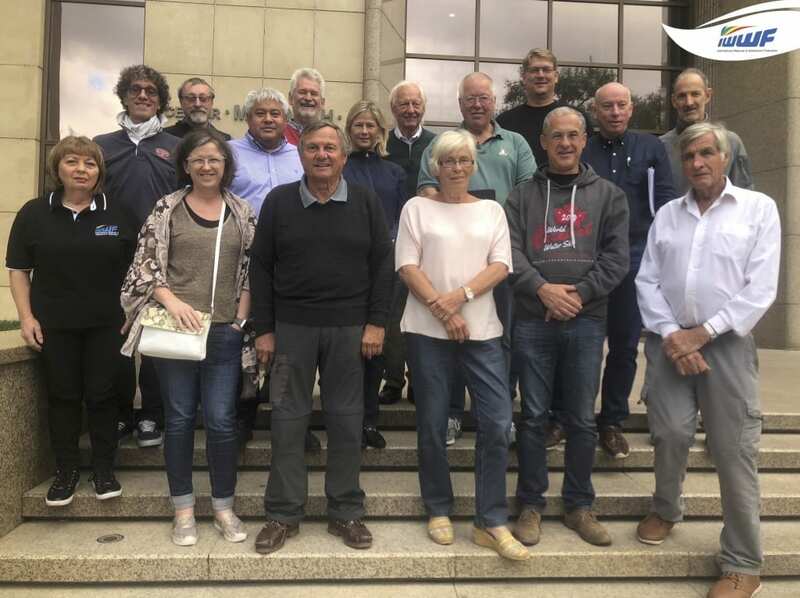 The IWWF Executive Board held its first meeting, since the election of Jose Antonio Perez Prieigo (MEX) as President, in Dnipro, Ukraine in conjunction with the 2018 IWWF World Cable Ski Championships held at Sentosa Cable Park. The IWWF Bureau and Chairpersons of the various sports discipline councils were in attendance. Ensure the participation of top athletes (waterskiers and wakeboarders) in the 1st ANOC World Beach Games in 2019 because of the importance of Multi-Sport Games. Form a Sports Business Committee to generate revenue via sponsorships and partnerships, create new event properties to include pro-events, secure hosts for IWWF World Cup stops, etc. Form a Safe Sport Committee to protect Athletes. Create a Gender Equality Policy. Increase focus on IWWF World Titled Events. Mandate IWWF Branding for all IWWF World Titled events, IWWF Confederation Titled events and IWWF-sanctioned events for all sports disciplines. - logo acknowledgement on all print and digital collateral. - listing of events on IWWF’s calendar and providing media support to promote these events. Promote IWWF sports disciplines, events and athletes by engaging a Social Media Manager; IWWF’s Facebook page following has grown 190% over the last 12 months and is still growing. Celebrate IWWF's 75th Anniversary in 2021.